Super Bowl 2017 halftime show is going to held on February 5, 2017, in Texas. 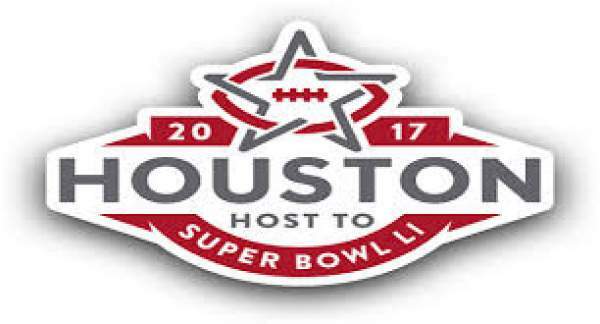 It is a part of Super Bowl 51 which will take place at NRG Stadium in Houston. American singer Lady Gaga is the performer this Superbowl LI. Back in August 2016, media reports started coming in that said that singer Adele was in talks with the NFL (National Football League). The league was trying to make a deal with her to perform at the Super Bowl LI halftime show which is to take place on 5th February 2017. Pepsi Zero Sugar is the sponsor of the show. An NFL representative said that the league committee is trying to do their best to sign her up. But, these reports turned out to be just rumored as the singer, herself, debunked the statements at her Adele Live 2016 concert tour of Los Angeles. Date: When is Super Bowl 2017? Later on, NFL denied that they didn’t approach Adele. The organization put out an official statement denying the stated offer. After it, media again started speculating the potential candidates who can perform at the 2016 SuperBowl. The list included Rihanna, Taylor Swift, Justin Bieber, and Eminem. In the meantime, singer Lady Gaga announced to release her fifth studio album, Joanne, in October 2016. Billboard also reported that NFL and Adele are in bilateral talks for performing at the SuperBowl 51 halftime show considering her performance of the National Anthem at the previous edition, Superbowl 2016. The NFL again denied the news stating that they are in talks with many other artists and haven’t decided one. After some time, Lady Gaga confirmed on 29th September 2016 that the fans would see her performing at the halftime show of Superbowl LI. Lady Gaga put out the following message on her official Instagram account. The official confirmation also came from the side of John Entz, the Fox Sports president and executive producer of the show. He stated that LadyGaga is one of the most electrifying performers of our generation and that they are extremely happy that she will headline the SuperBowl LI halftime show and it will be a very exciting night. In an interview, Gaga said that she desires to put the best show on the football fans, especially the ones who are going to sit and watch from their homes. As per the latest reports, she was sure about her super Bowl halftime show set list for 2017. But, she said she would be playing a mix of her old and new songs. Moreover, she confirmed that NFL heard her unreleased album and decided to give a performance slot. Last month, i.e., December 2016, Gaga came up with the “Guest of Honor” contest in association with the NFL and Pepsi. The winner will be offered to watch the halftime show on the sidelines of the stage. After some time, the singer made a video and uploaded it titled as “Fanifesto” in which she talked regarding the fandom power. She explained what the fans had to do to enter the contest. She told everyone that the enthusiastic fans have to upload 15 to 60-second long video on Instagram or Twitter using the hashtags #GOHContest and #PepsiHalftime by December 15. In those videos, the fans had to profess their fandom for Gaga. The full show video of Lady Gaga performing at the Super Bowl halftime show 2017 will be made available on the big game day.